Bangkok and Ho Chi Minh City are two of the largest cities in Southeast Asia (the largest being Jakarta). 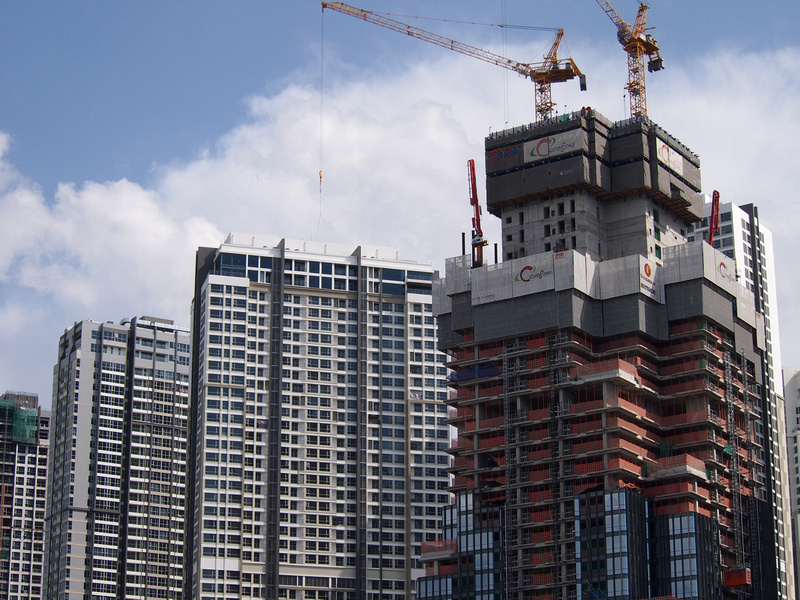 It was recently reported that Saigon now has up to 13 million people living in the city. No one really knows the exact amount, but it was thought that there were 8 million, with the city hitting 10 million by 2025. Oops! 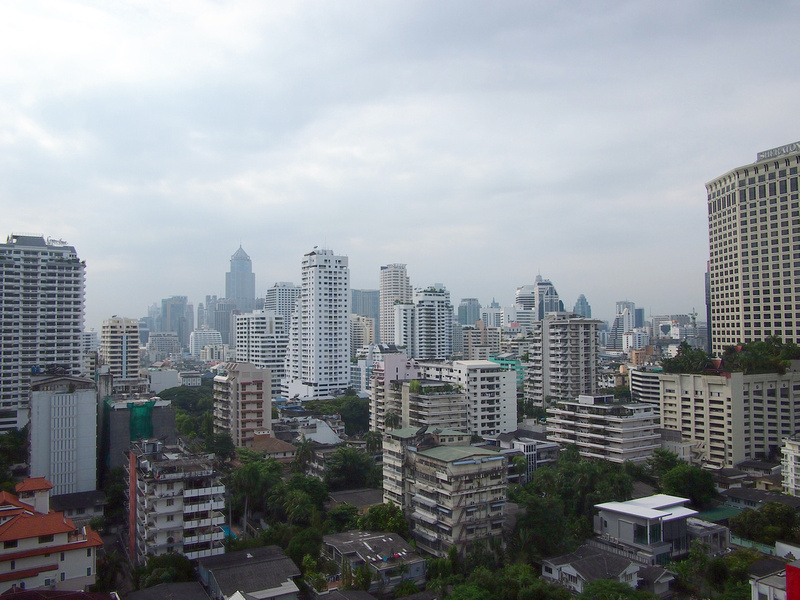 Meanwhile in Bangkok there is a city population of over 8 million, with a greater metropolitan area of over 14 million. That puts the two cities at about the same size. I suspect that if Bangkok did another headcount, they too would also find a few extra million crammed into the back soi’s of the city. With this purported population parity it got me thinking about comparing the two cities in general. I’m currently based in Saigon, and I visit Bangkok 2-3 times a year so I’ve spent enough time there to be able to note these observations. If you were looking for me to “pick a winner”, I can’t offer that. I like them both for different reasons. I like spending time in both places, and each have a style to their own. Whenever I go to Bangkok I find myself saying “I could live here”, then I go back and I am happy to be in Saigon. I’ll probably have an extended stay in Bangkok at some point. When people ask me about living in the two cities I usually sum it up by saying that Saigon is 20 years behind Bangkok and catching up fast. Both cities have different economic backgrounds, with Vietnam having being economically restrained for so long, and is now catching up. These are random observations drawn from my time spent between the two cities. Bangkok has two international airports, which is always a good sign of an A-list city. 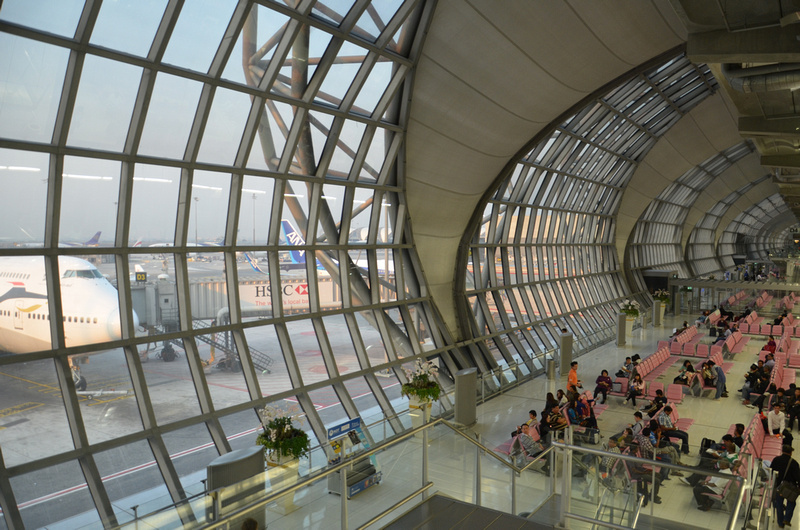 Originally the old airport (Don Muang) was closed down when the new airport (Suvarnabhumi) opened in 2006. The airport was meant to be big enough to handle future growth, yet it was already overcrowded by 2007. The old airport was reopened and now most of the low cost airlines operated from Don Muang. Now both airports are overcrowded, and I have personally experienced long delays passing immigration at both. There is an airport train to Suvarnabhumi, with a another line being built to Don Muang which will eventually connect the two airports. Ho Chi Minh City has Tan Son Nhat International Airport, which still has its old IATA code of SGN. Once you get an IATA code it sticks (which is why Mumbai is still BOM), thus Ho Chi Minh City is still SGN. Tan Son Nhat is inside the city area, making it one of the closest airports to the city in Southeast Asia. When everything goes right getting out of the airport is a breeze. Even with the crazy traffic you can be in downtown District 1 in half an hour, and a taxi costs less than $10. When it goes wrong you can be stuck getting a visa for an hour, or in a traffic crush trying to enter the airport. With the airport being in the city there is little room for growth, and the facilities are already stretched beyond its intended capacity. Many flights are boarded by bus on the tarmac as there are not enough gates to serve every flight. There is a new airport planned (Long Thanh International Airport) which is 40 or 50 KM away, depending on which official document you read. For reference Kuala Lumpur airport is 45KM away from central KL. The new airport has space to build 4 runways, (which no airport in Southeast Asia has) and a plan for a high-speed railway between Ho Chi Minh City and the beach city of Nha Trang. The airport is due to commence construction in 2019, though it was first approved in 2006 and it has been pushed back ever since, so who knows ¯\_(ツ)_/¯. As a public transport advocate both cities are major frustrations, especially after travelling in Singapore or East Asian metropolises. Cities the size of Bangkok and Saigon should have a 10+ line metro system to service the city. In this department Bangkok is miles ahead of Saigon. 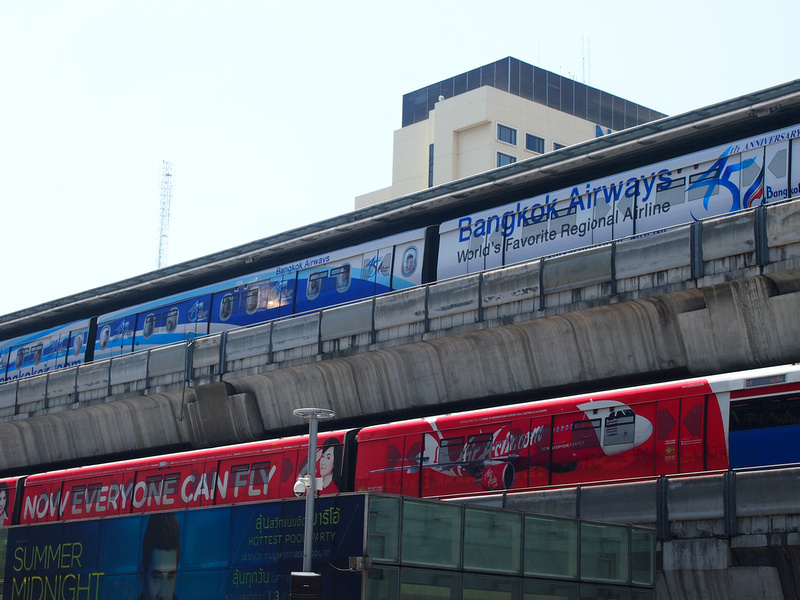 Bangkok has 4 metro/skytrains and an airport line. There are 3 new lines under construction, and plans for another 4 or 5. Saigon on the other hand has no metro system; just a network of old buses. There is a metro being built, with one line currently under construction, a second line supposedly started, and up to six lines in planning. There is very little information about what is planned, and the official maps are small and lacking in detail. Here is the last update. Both cities have their own version of traffic hell. 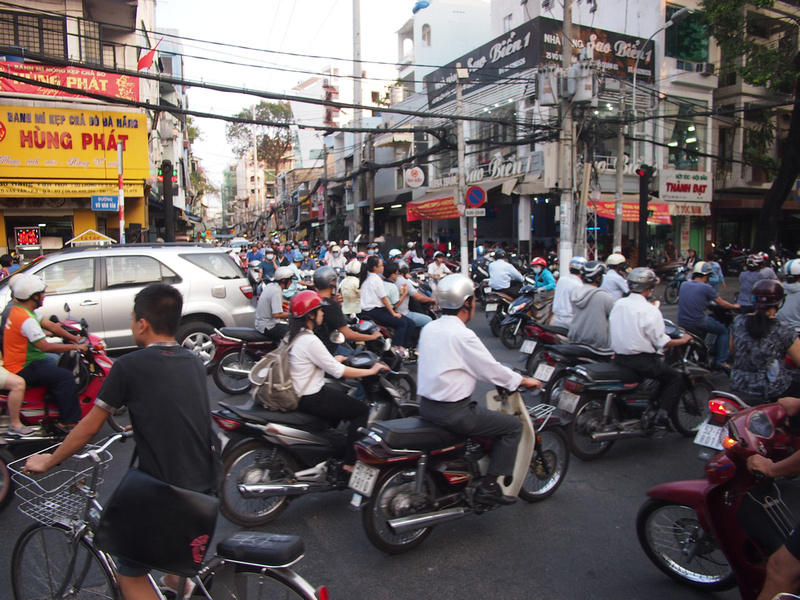 Whenever I compare the two cites my not-backed-up-by-any-statistics observations is that Bangkok is 90% cars and 10% motorbikes, while Saigon is 90% motorbikes and 10% cars. Vietnam used to have an import tax on cars, which kept the car count under control. There are more cars now which are starting to strangle the city. One of the most infuriating things about Bangkok is its city grid layout. There are a big gaps between main through roads, with not enough cross roads to get the traffic out of the little streets. During peak hours the traffic in the small streets queue up to get onto a main road, forming a line as far as the eye can see. Saigon on the other hand has a more sensible city grid layout which is a legacy of French colonial planning. That is it was sensible when it was a low-rise city. 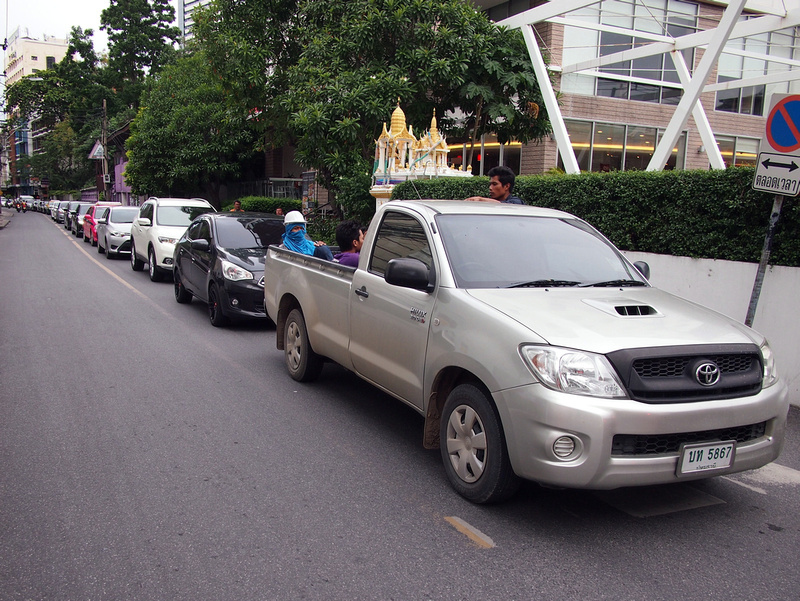 With more high-rise buildings going up in the old areas, these streets are feeling the traffic squeeze. For now getting around on a motorbike relatively easy. With more cars being added to the road and the swelling population, there is an impending traffic apocalypse. One similarity each city has are their rivers. 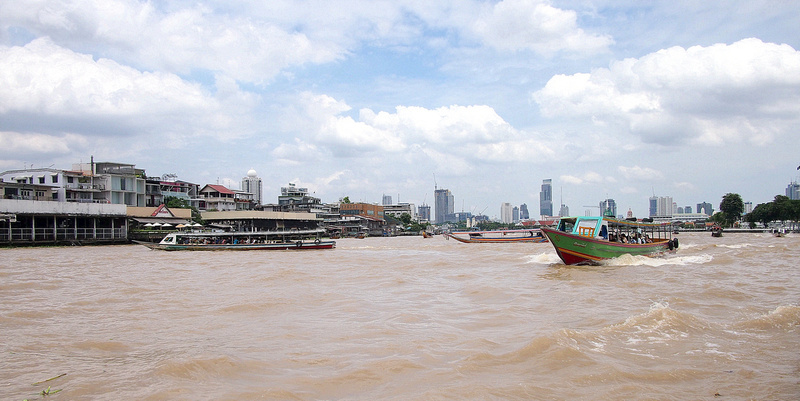 The Chao Phraya and Saigon rivers are both grand, muddy bodies of water. Like many cities around the world, one side is more developed than the other. 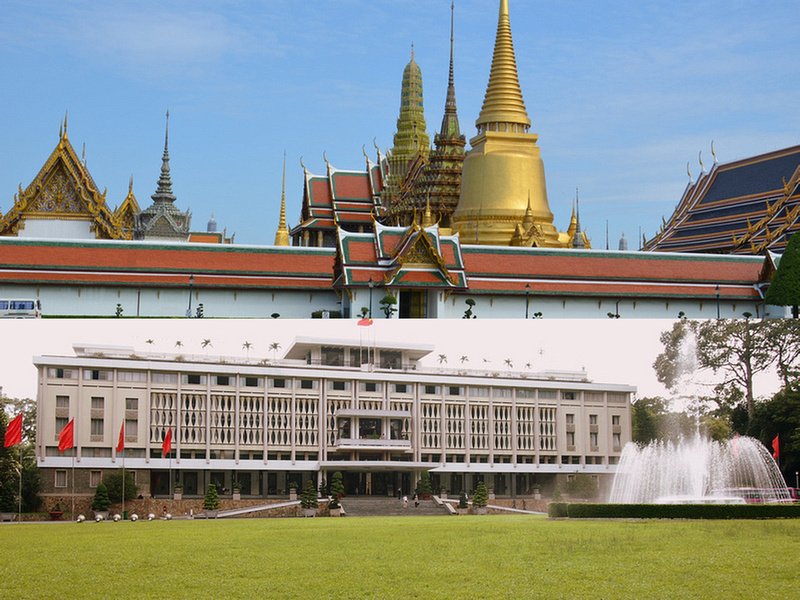 In Bangkok most of the business, tourism, and royal palaces are on the eastern side. While the other side is developed, this physical divide is also a mental dividing line that separates the two sides of the city. 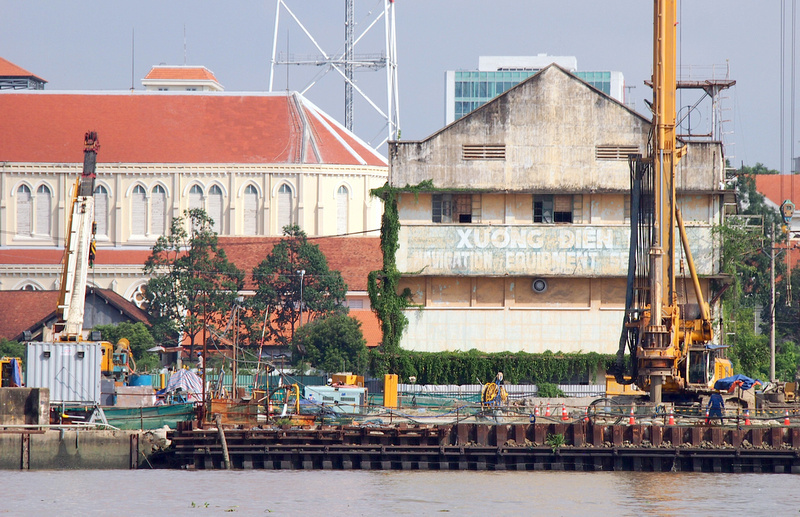 The Saigon River is one of the under-utilised assets of the city. Most of the city lies on the western side of the river, with barren swampland facing the downtown riverfront on the eastern side. There are big developments underway, with a new city set to rise on the riverbank. The new development is comparable to Pudong in Shanghai, which went from farmland in the eighties to having one of the world’s most impressive skylines. There is also the neighbourhood of Thao Dien, which is probably the coolest neighbourhood in the city now. Bangkok has begun a new redevelopment with a boardwalk flanking the river for 7km on each side. The riverfront is so urbanised that many river communities are being forced to leave. There hasn’t been an official plan to do this in Saigon. If they did, they could also have a riverside boardwalk of a similar length. 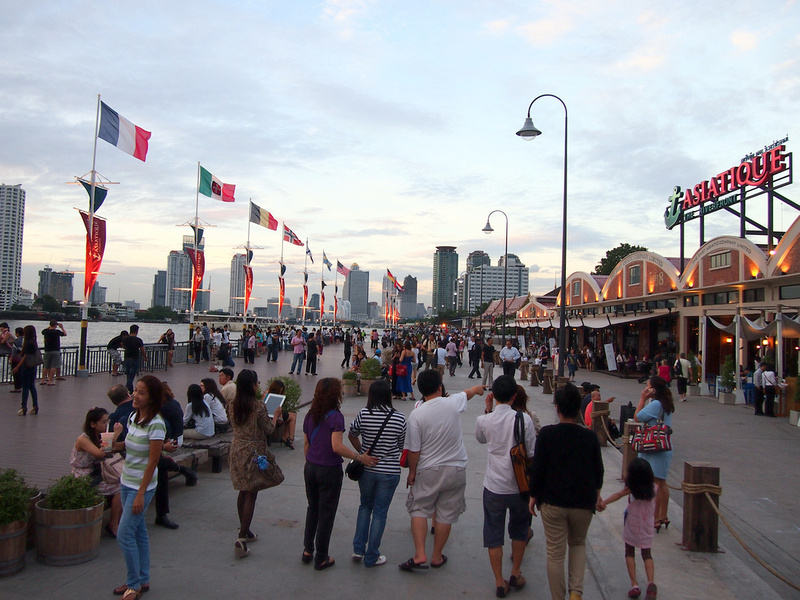 One redevelopment that Bangkok has done well is Asiatique. This food and shopping market is in the former docks of the East Asiatic Company. Saigon could have had its own version of Asiatique at the Ba Son Shipyards. Instead, these historic warehouses are being demolished for a residential development, and what could have been one of the biggest tourism drawcards has been lost forever. Vietnamese and Thai food are among the best cuisines in the world. I rank Thai and Vietnamese in my top 5 foods of the world (along with Indian, Mexican, and Japanese) and that’s as far as I’ve got with picking a favourite. Every time I come back to Thailand I keep thinking that Thai is better. Then I go back to Vietnam and change my mind. Part of what keeps me in both cities is the amazing food cultures. I don’t consider myself a foodie so I’m not wading into this debate. 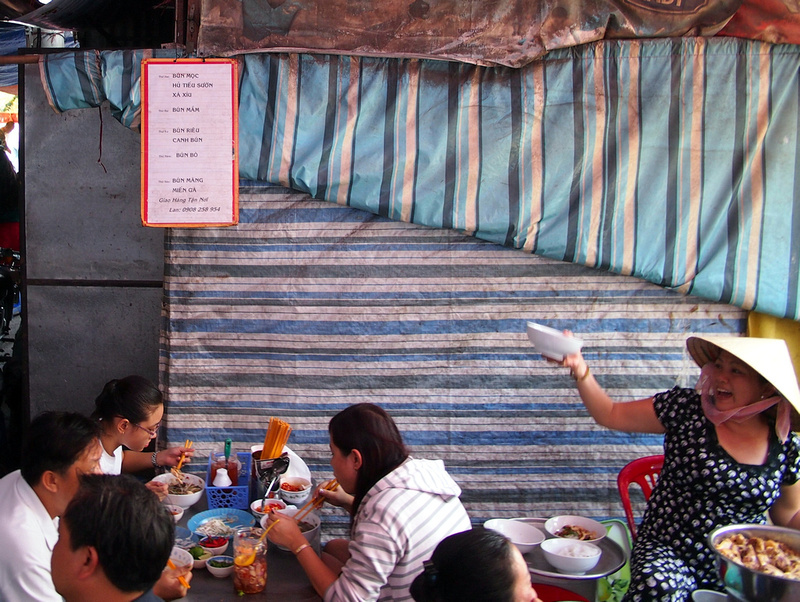 What I can say is that both cities rank highly as the best street food destinations in the world, and they are both waging a war on street food culture. In terms of international food, Bangkok is ahead with more variety. Bangkok also has better food courts. If you be American or Australian (for example), going to the mall to eat is not a thing that you would intentionally do. 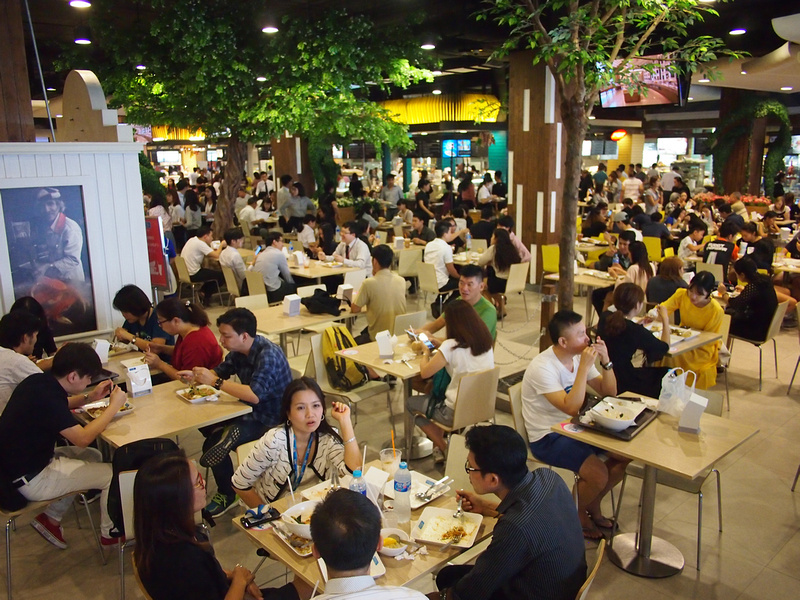 In Bangkok the mall food courts are world class. There are independent vendors selling one thing and doing it well, and the prices are not much more than street food prices. My general sense is that Ho Chi Minh City is a cheaper city to live than Bangkok. Of course it also depends on your lifestyle and how you spend money. In Saigon you can get a haircut at a local hairdresser for $3, or you could go to a fancy place and get one for $30. In downtown Saigon it’s still possible to get a bowl of pho for $1, or you can go to the Rex Hotel and have a $10 pho. 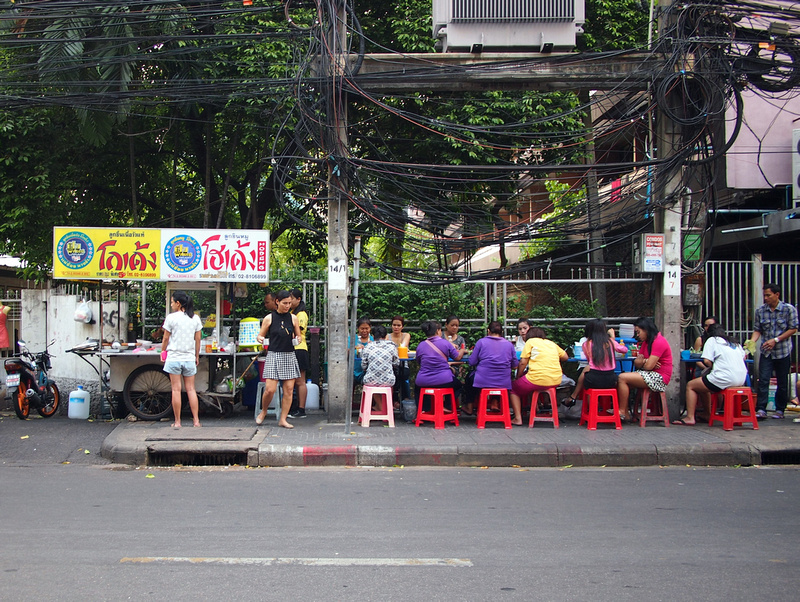 Similarly it’s also possible to eat cheap on the streets of Bangkok, if you know where to look. Finding a cheap apartment to rent is harder to find in Bangkok. You can still find serviced rooms in Saigon for under $300USD a month in District 1, while a similar room near a BTS station in central Bangkok is a rarity. Here are some price comparisons of familiar items. The classic world price comparison chart is the Big Mac Index, by The Economist. 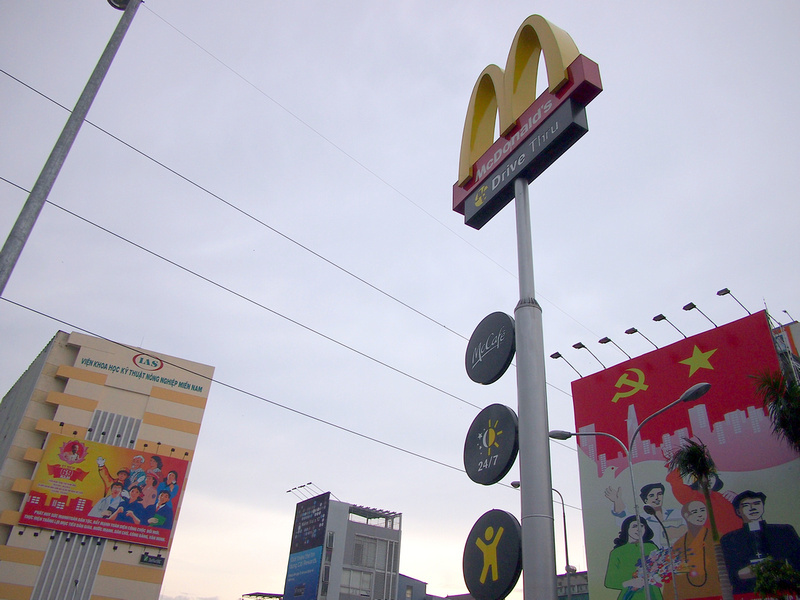 McDonalds only arrived in Vietnam in 2014 so until recently you couldn’t even make this comparison. Another useful universal comparison is the cost of Starbucks. Like McDonalds, Starbucks was also a late arrival to Vietnam, with its first store opening in Saigon in 2013. For a Cafe Latte, Vietnam has been ranked as one of the most expensive Starbucks in the world. There are over 3,000 7-Eleven’s in Bangkok, and at the time of this post there are 3 in Saigon. 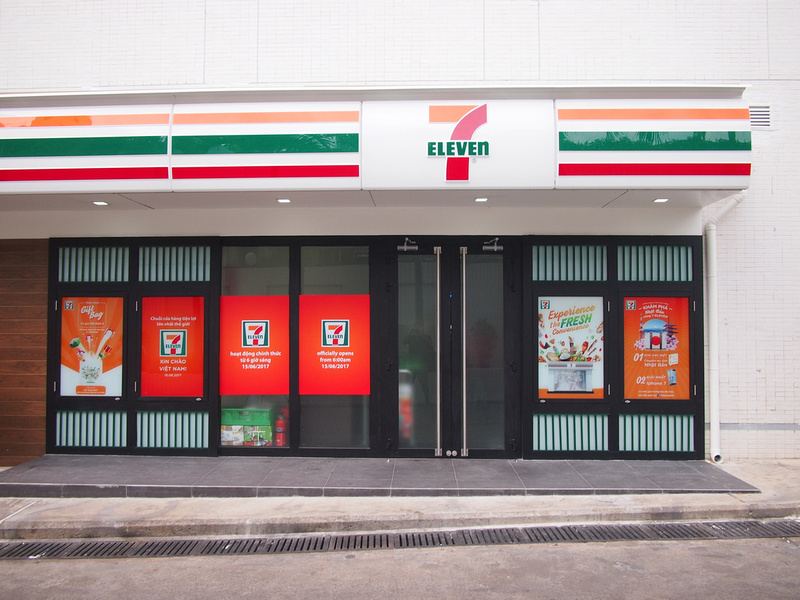 7-Eleven arrived in Saigon in July 2017, though there are other convenience store brands such as Circle K and Family Mart. I’ve used 7-Eleven in this example for consistency. So snacks are about the same, and beer is considerably cheaper in Saigon. 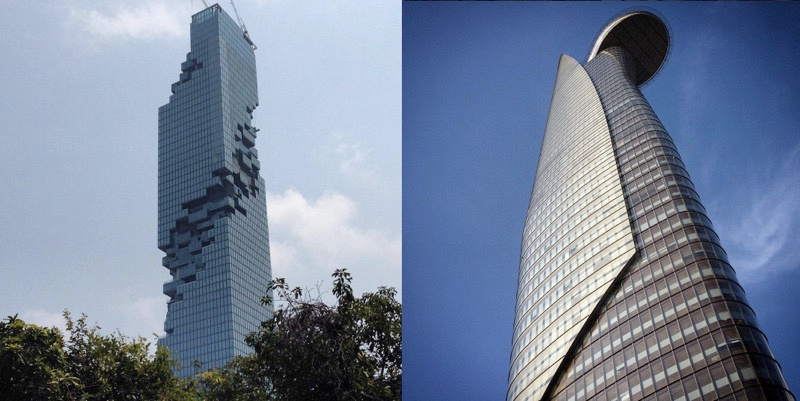 The tallest buildings each city is the MahaNakhon (314m) in Bangkok, and the Bitexco Financial Tower (262m) in Saigon. Both towers were designed by foreign architects and have unique architectural styles that go beyond the usual glass box towers. Overall Bangkok has a bulkier skyline with 100 towers over 150 metres, while Saigon has 51 towers over 110 metres. In the future, the Landmark 81 tower in Saigon will be the next tallest, which should be completed in 2018. 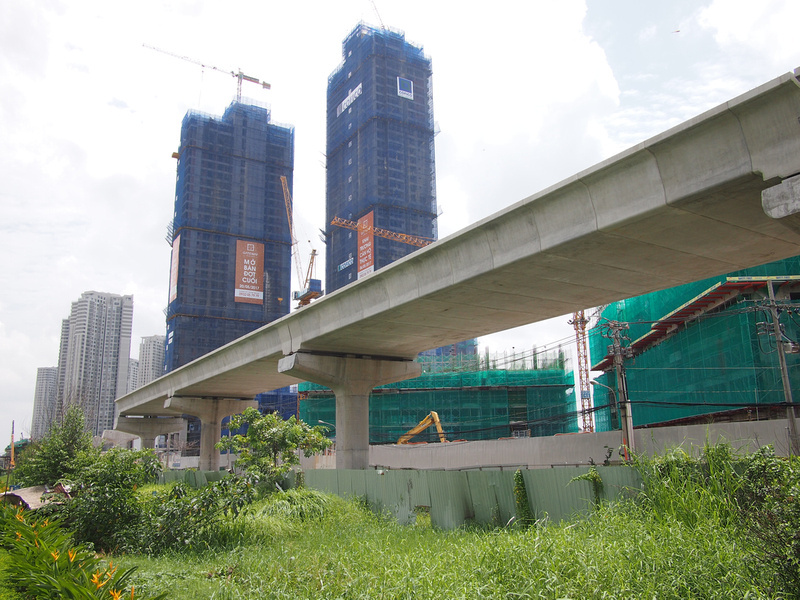 At 461.5 metres it will briefly be the tallest in building in Southeast Asia. Not to be outdone, the Rama IX Super Tower is under construction in Bangkok, and upon completion in 2021 it will be 615 metres. Both cities have their own “backpacker slums”, which are streets dedicated to servicing budget travellers. 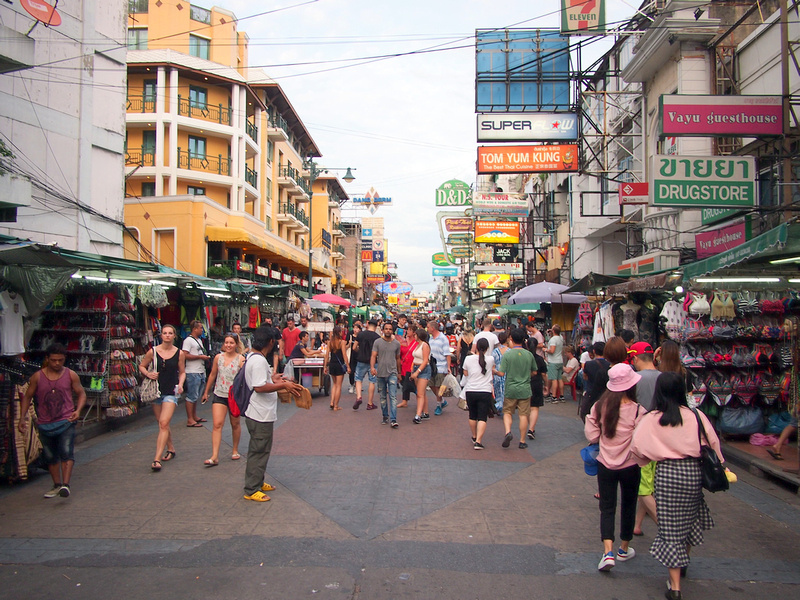 Bangkok has the famous Khao San Rd area, which is in the old city in the west of the city. In Saigon the backpacker area is known as Pham Ngu Lau, which is named after the main street of the area and covers Bui Vien Street as well. PNL is a 10 minute walk from Ben Thanh Market, which is the unofficial centre of the city. When it comes to shopping, Bangkok is the undisputed shopping king. My trips to Bangkok usually include shopping for things I can’t get in Saigon. 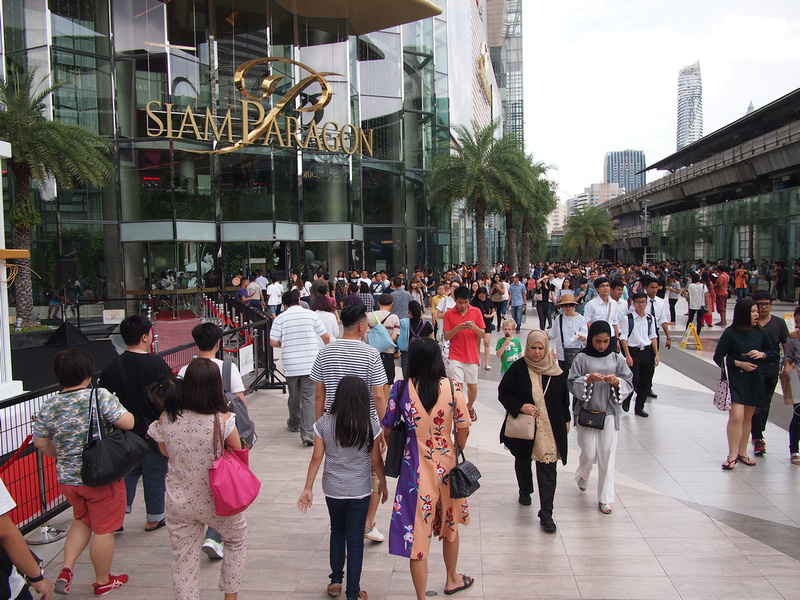 There are malls everywhere in Bangkok, and most international brands are represented there. 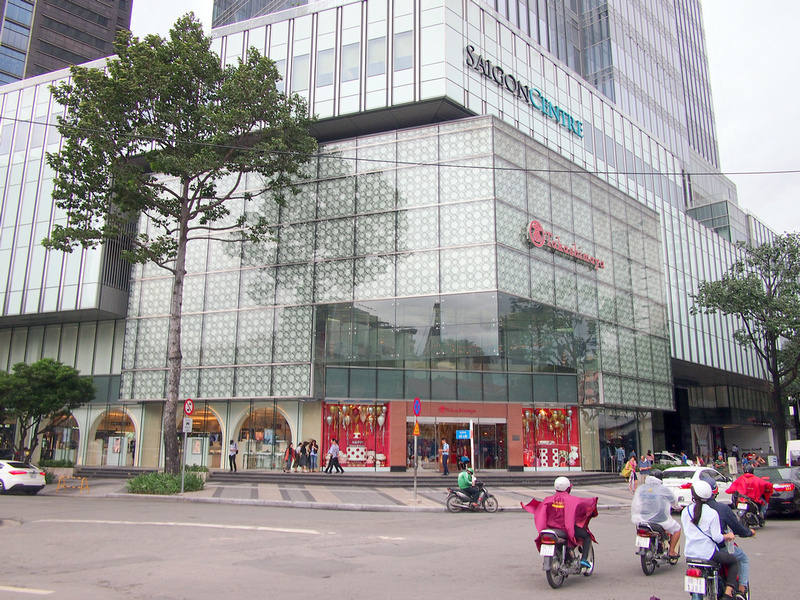 By comparison, while mall life is slowly catching on in Saigon, it’s a long way to go before peak mall is reached. Shops that are in Bangkok and not Saigon include H&M, Muji, Uniqlo, and American Eagle. Neither city has an official Apple store yet. In a rare first for Saigon, the Japanese department store Takashimaya opened in Vietnam first in 2016. Jakarta – Manila: The most obvious comparison is of the two maritime Southeast Asia mega-capitals. Singapore – Kuala Lumpur: While Singapore is without peer in terms of development, these two cities are rivals with an intertwined history. 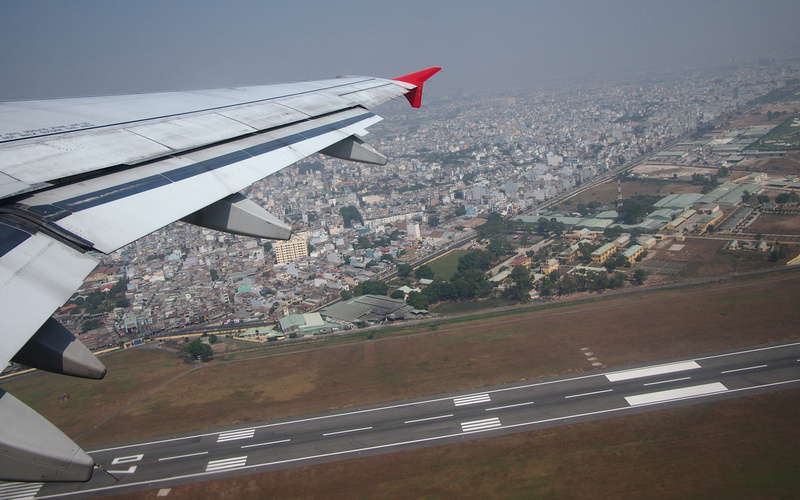 Hanoi – Yangon: Usually Hanoi and Saigon is a comparison in itself (like Sydney-Melbourne). For international comparison I’ve gone with Yangon. Hoi An – Penang: Two UNESCO World Heritage cities that are dealing with the influx of tourism in different ways. Phnom Penh – Vientiane: Even though these two cities are not in the same weight division (1.5 million vs 210,000), they are neighbours and occasional hot-headed rivals. Chiang Mai – Luang Prabang: Two cities overflowing with buddhist temples. Naypyidaw – Putrajaya: The two planned capitals that no one goes to. Bandar Seri Begawan – Dili: Like the skinny kids last to be picked on the football team lineup (I resemble that statement), we are left with BSB and Dili. What do you think of these comparisons? And if you’ve made your own share the link. I visited both cities & I’ll vote to Bangkok. Made me chuckle when I read your 7eleven comparison. You pretty much copied my daily shopping list! Liked this article. I too like both cities for their own individual charms. One thing I would like to mention is that Asiatique in Bangkok has gone to the dogs – not an ice place and a true tourist trap. Give it a miss. Well done comparison and for sure Saigon is a good mate to Bangkok. As a traveler I’m rooting for Bangkok. Sights in Saigon are few and far between whereas Bangkok’s old town alone keeps you occupied for days and the sights of Greater Bangkok as well as Central and Western Thailand are at your fingertips. As a market maniac I’m also rooting for Bangkok. The recent hipster night market trend alone is a good reason to visit and so are some of the popular markets like Sampeng Lane, Chatuchak and Pratunam or local favorites like Or Tor Kor, Klong Lat Mayom and Bobae. I’ve got no clue about Japan, so I wonder why Takashimaya is such a big thing? Bangkok has not one but two Japanese Department stores, Tokyu and Isetan. Budget wise, you can find apartments for $200 USD a month or less in Bangkok as long as you stay away from BTS and MRT or go to the end of the line. Granted it’s much more difficult to find an apartment in Bangkok than in Saigon if you don’t wanna pay a “farang tax”. Hi Florian, thanks for your insights there! Yes hard to argue that Bangkok is ahead on many fronts. I agree that Singapore and Hong Kong are a better match, and one I usually compare, but I was just keeping it in SE Asia. Agreed on Hanoi too, but I ran out out city pairs and I think Hanoi is in a class of its own. Regarding the Japanese mall, I think the Japanese is trying to capture the upscale shopping market in Vietnam. Malls in Bangkok are already world class, even Japanese expats shop there. Local mall developers have become arguably better than the Japanese brands now. I won’t be going to a McDonalds or Starbucks anytime soon but your comparison to the smallest details have been really helpful in giving me an idea of the price differences between the two cities. I’m going to be in Bangkok for a few months and then Ho Chi Minh after. I hear so much about Bangkok but not so much about Ho Chi Minh and never bothered to research about it. I can’t wait to see the differences for myself. That should be fun. lol! That picture of our soup lady made me smile. Oh, good times. They keep threatening to pull down that market, but for now she is still hanging in there! 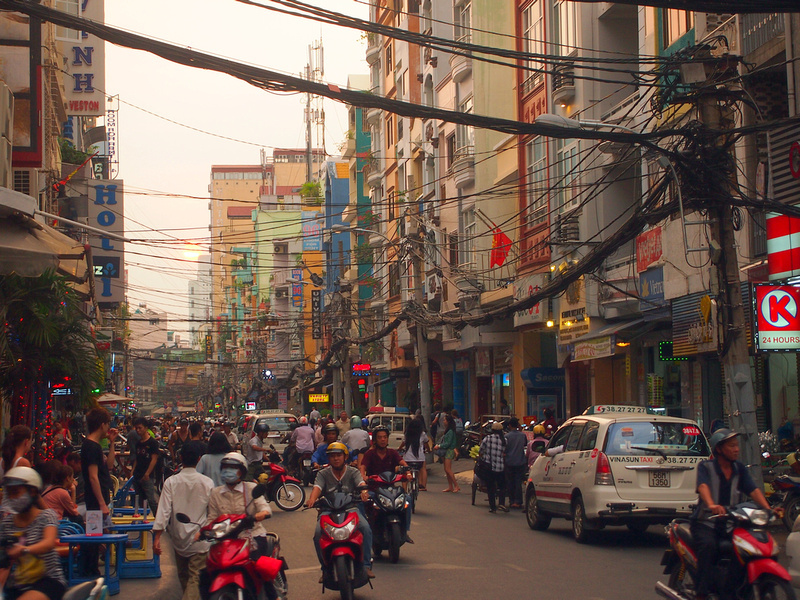 There are many reasons Saigon cannot really be compared to Bangkok at all. First, Bangkok is the capital of Thailand and Saigon isn’t. This means while Bangkok can get all the tax money for its development, Saigon has to transfer a large amount of its collected tax money (82% to be exact) to the central government in Hanoi which means the city does not even have nearly enough money for its own development. Second, there’s the fact that the economy of Thailand is twice as big as Vietnam’s. Third, Bangkok is the only big city in Thailand that has over 1 million people while there are multiple cities in Vietnam that have over 1 million people. This to me seems like Bangkok gets all the attention of the government thus development is concentrated in one place while development is more spread out in Vietnam, resulting in the underdevelopment of Saigon. There’s also the important fact that the Vietnam’s communist government is way more corrupt than Thailand’s which slows down everything in Vietnam. Yes I understand they are not the same politically. I was making a comparison of what two cities of about equal population sizes are like. Of course they are different, that is why I was interested to compare. It also wasn’t a comparison of primate cities https://en.wikipedia.org/wiki/Primate_city, of which Bangkok is “the most primate city on Earth”. If you are going to compare cities that way then you would not be able to pair Bangkok with another. Thanks for your review. I think due to the Viet Nam political system Saigon (Ho Shi Min) lacks what Bangkok has. I feel more relaxed in Thailand. I hope Viet Nam is headed that way too. Using this as a reference for my next friendly debate over dinner with friends from Bangkok! I think there is already an official Apple Store in Bangkok. Somewhere near Siam Square. I saw it once several years ago. Whether it was closed or discontinued I do not know. It’s located at Icon Siam, west side of the Chao Phraya river. I think it’s the 2nd store in ASEAN after the one in Singapore. Great article! I love both cities. 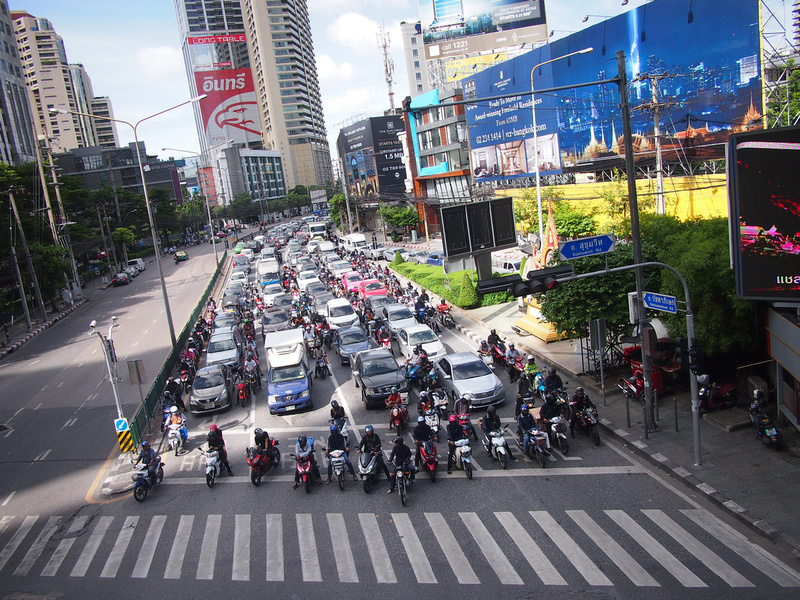 Bangkok feels much more socially and economically progressive. But I found the Vietnamese much more authentic and friendly, particularly the younger generations (there are exceptions of course). However both have amazing food. I find the traffic in Bangkok much more of a headache whereas more easy to get around Saigon on a grab bike taxi and not the constant huge traffic build-up. That is not really true at all. I can name 50 condos that are less than 1km from BTS stations that are less than 5-6 years old and modern. Saigon $300 gets you a 75-year-old studio room on the 2nd floor in a cramped back alley. The accommodation between Bangkok and Saigon, there really is no comparison as Bangkok wins hands down. Saigon is ok but the crime, mass amount of bikes, and horrid air quality make it a bit too 3rd world to be considered.